The Rhodopes are a massive mountain range on the territory of Bulgaria and parts of Greece. Besides its vast landscapes of river gorges, meadows and dam lakes the Rhodopes also comprise a distinct cultural area, making it one of Bulgaria’s most valuable travel destinations. 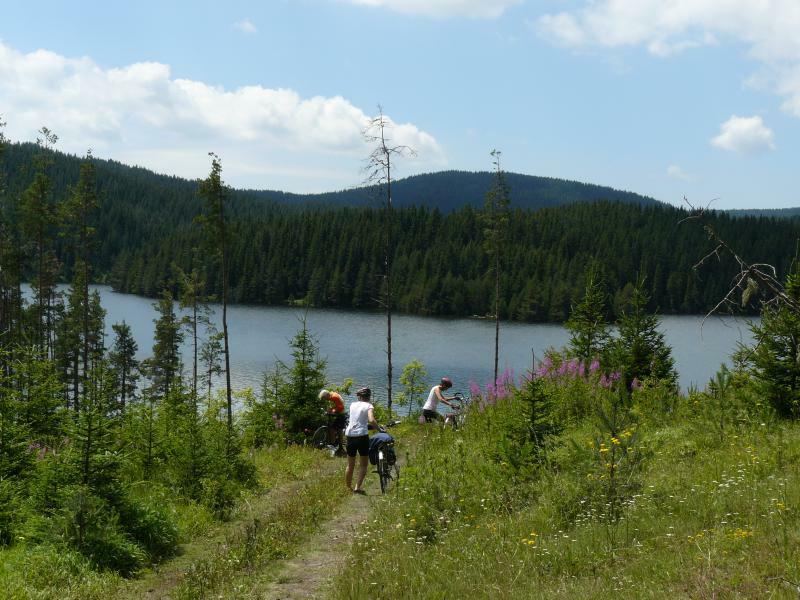 This trip will take you through some of the most notable natural and cultural sites of the area on a bike, guaranteeing you an exciting outdoor adventure as well as a rich cultural experience letting you feel the spirit of Bulgaria. Rhodope Mountains – а vast mountain range particularly notable for its karst areas with their deep river gorges, large caves and specific sculptured forms. 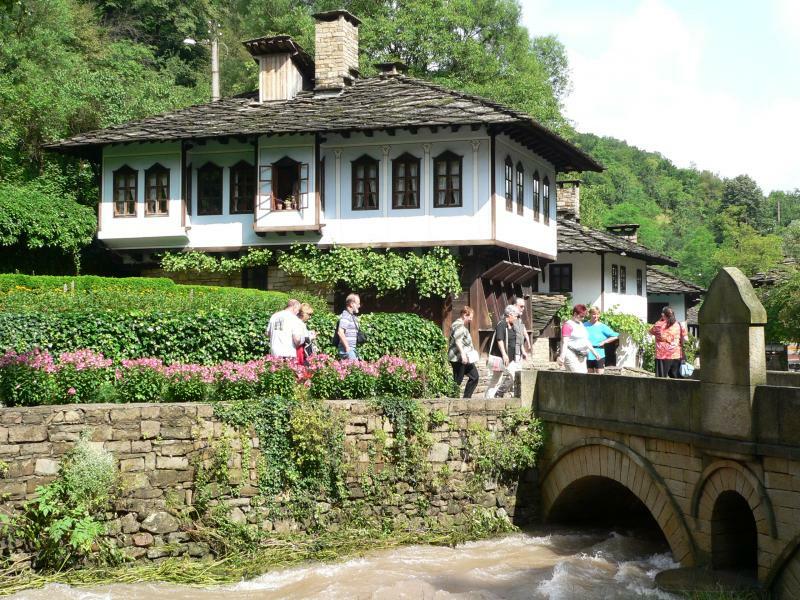 Besides its scenic landscapes, the Rhodopes also offer various cultural sites and are inhabited by the Bulgarian Muslim population famous for its hospitality. 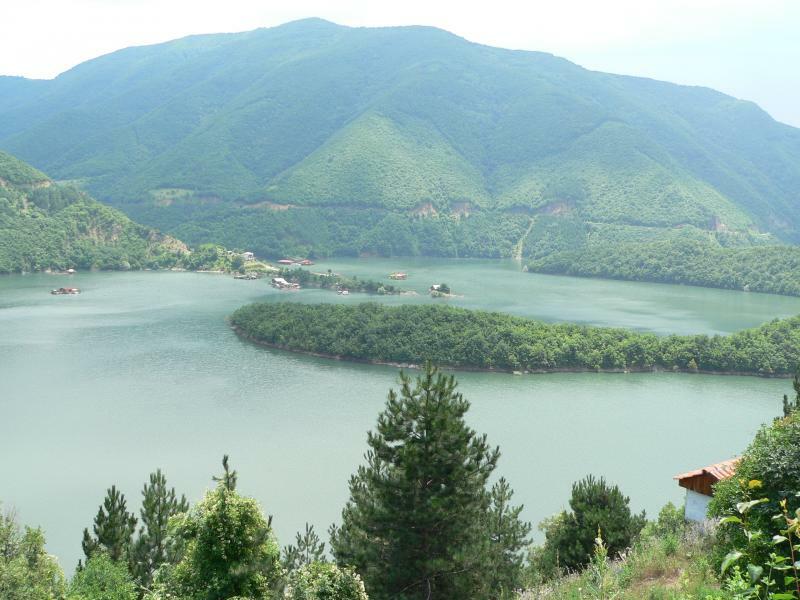 Vacha dam – one of the most scenic dam lakes in the Rhodopes . Chudnite Mostove (The Wonderful Bridges) – spectacular rock formations consisting of three arches, as the largest one is 45 meters high and 40 meters wide. Asen's Fortress – a medieval fortress dating to the period of the Second Bulgarian Kingdom, designed to protect the area against Latin raids. Arrive at Sofia airport and transfer to Plovdiv which is the starting point of the trip. 2 hours drive. 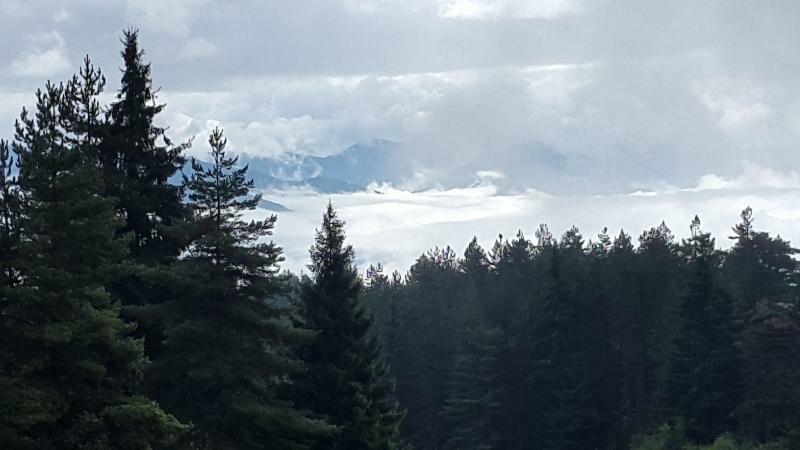 Our day starts with a visit to the Kuklen Monastery after which a short transfer brings us to the Zdravets resort area located at 870m altitude where our bike ride starts. 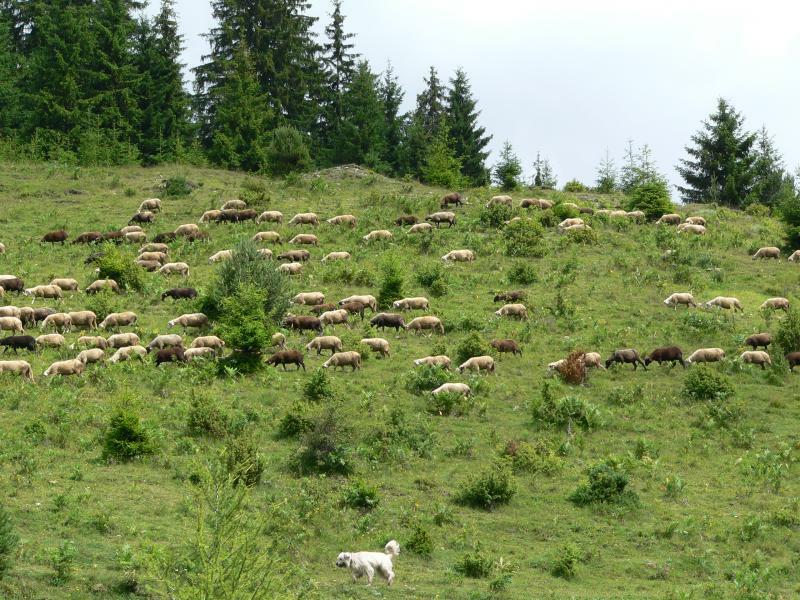 A gradual ascent to the village of Byala Cherkva will take us to picturesque meadows on the northern slopes of the Rhodopes, overlooking the surrounding peaks. The following descent brings us to the Lilkovo village where we visit an old church and stay for overnight. Biking: 27km/Elevation gain: 1100m. Today we ride on an old Roman road along the ridges of the mountain, enjoying the surrounding landscapes until we reach the Persenk hut where we stop for lunch and coffee. In the remaining part of the day we descent to the Lyaskovo village, where we stay for overnight. There is a possibility for spending the afternoon in the nearby spa town of Devin and taking a bath in some of its mineral springs. Biking: 30km/Elevation gain 500m. We ascent the slopes above Zabardo and bike to one of the most emblematic natural sites in the Rhodopes – the Wonderful Bridges. After a brake we ascent to the Kabata hut for lunch and continue downwards towards the village of Orehovo, passing through an area of beautiful Karst-rock formations offering great places for photo breaks. Biking: 26km/Elevation gain: 450m. Today our ascent is taking us to a scenic meadow above the village of Kosovo famous for its authentic architecture. After a long descent we arrive to the Galabovo village, where we spend the nigh and can visit some the famous cultural sites in the area – the Assenov Fortress and the Bachkovo Monastery. Biking: 30km/Elevation gain: 700m. Transfer back to Sofia for departure. ►Terrain: The terrain is versatile. 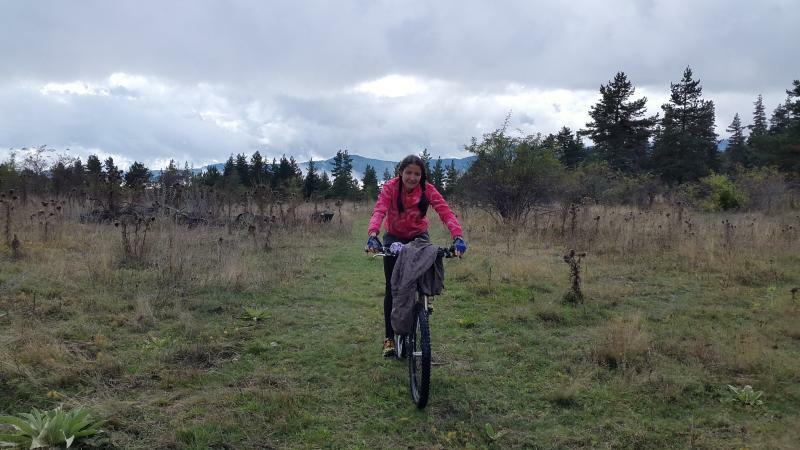 You will bike mostly on nice dirt and gravel roads, isolated asphalt roads and some forest paths. 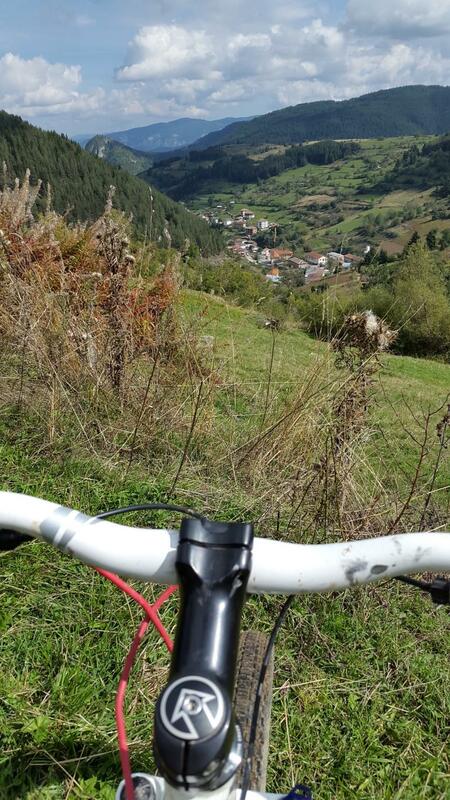 Biking is made on an altitude from 200 m to 1550 m including elevation of up to 1032 m and downhill riding up to 800 m.